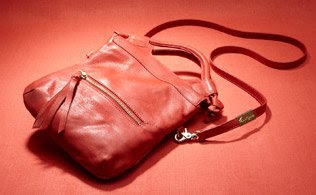 New York design darlings Foley + Corinna have earned a cult following in part for their cool, vintage-inspired handbags. The styles here are as practical as they are bohemian -- roomy with smooth leather, sturdy linings and in unique shapes and colors that are super-easy to sling around when you're on the go. Our favorite option? 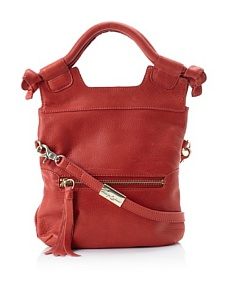 The versatile Disco City bag, which you can either throw over your shoulder or effortlessly convert into a cross-body. Soft supple leather in an on-trend hue, 2 outer zip pockets, removable long strap; handle drop of 3.5"
Dimensions: height 11", width 8.5", depth 1", shoulder drop 20"